A camera donated to Programme for Belize at World Land Trust’s (WLT) 25th Anniversary Symposium in May has had an eventful three months. We were delighted when WLT corporate supporter Super/Collider donated an Olympus E-P1 camera SLR camera for WLT to present to a project partner for use in the field. We chose Programme for Belize (PfB) as the recipient: PfB was the project that first launched the Trust in 1989 and it seemed an appropriate choice. Edilberto Romero, PfB’s Managing Director, took part in the symposium and accepted the camera with thanks on behalf of PfB’s Keepers of the Wild. 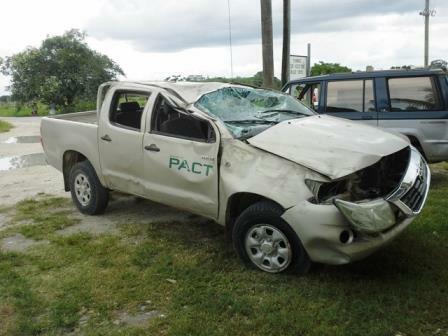 Last week Edilberto (Eddie) emailed to let us know that two of PfB rangers had an accident while trying to get the police to give assistance in arresting illegal loggers. The vehicle ran off the road and turned over. Regrettably the camera was lost in the accident but fortunately the rangers received only minor injuries. PfB aims to carry out at least four aerial patrols during the year to monitor illegal activities in the forest. Aerial patrols are especially necessary to control and prevent illegal clearing for cultivation of marijuana as areas of felled timber can be easily identified from the air. The donated camera captured all this illegal activity before its demise. It also recorded some interesting wildlife spectacles in the forest including Ground Gecko (Coleonyx elegans) and the Red-eyed Tree Frog (Agalychnis callidryas) (pictured, left). In the early days of WLT’s campaign to save tropical forest in Rio Bravo, an image of the iconic Red-eyed Tree Frog helped raise the profile of WLT’s fundraising effort, which enabled the protection of a large area of forest in Belize and its wildlife. Two unusual caterpillar species photographed on PfB land were identified by Jan Meerman, Director of Belize Tropical Forest Studies which was set up in 1997 to collect and disseminate biodiversity information in and about Belize. The hairy caterpillar (pictured right), is a Megalopygidae moth. Its hairs contain an irritant to ward off predators. The big raft of caterpillars pictured on a tree (below) belong to the Saturnid moth (Arsenura armada), known as the Giant Silk Moth. The larvae of the Giant Silk Moth are brightly coloured, with bright black and yellow bands, which signal their unpleasant taste to birds. The larvae are also fatally poisonous to some species of birds. It is found mainly in South and Central America, from Mexico to Bolivia and in Ecuador to south eastern Brazil. 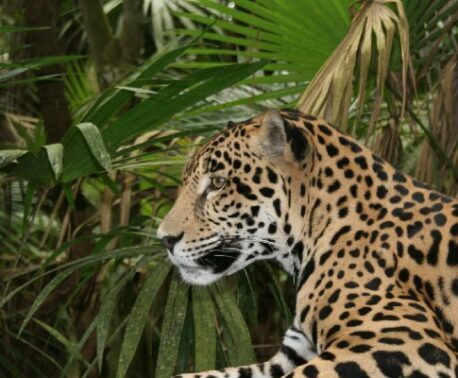 WLT continues to provide ongoing support to Programme for Belize with funding for the employment of rangers through WLT’s Keepers of the Wild programme.